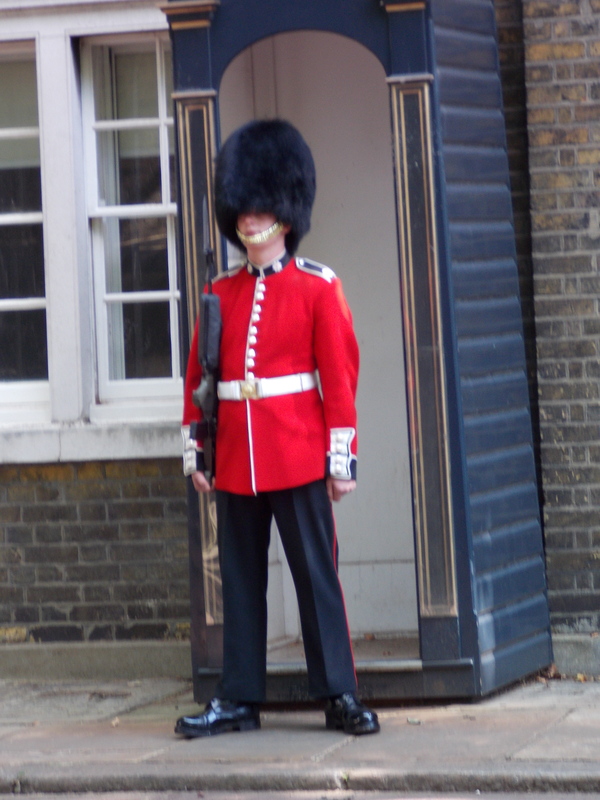 This guy is a guard at Clarence House, which is where Prince Charles and Lady Camilla live. Also Prince William and Kate are living there at the moment before they move somewhere else..lol. 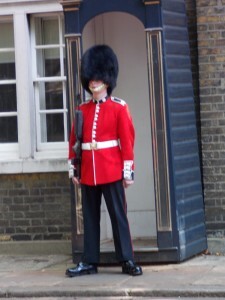 There wasn’t any way we were going to get close to Buckingham Palace to see the changing of the guards, so the tour guide we were with took us to Clarence House instead…where part of the whole ceremony starts. 🙂 It was neat to see them all march by. This weekend is a holiday weekend here, but I plan on writing as much as possible. Need to get back on track after taking a month off. I hope you have a great day and safe weekend. Friday, August 31st, 2012, by and is filed under "Photos, writing ". You can leave a response here, or send a Trackback from your own site. What a timely photo….we had planned to go see the changing as well but with your advise,Iwill start at Clarence house as well. Besides, it’s all about the marching!